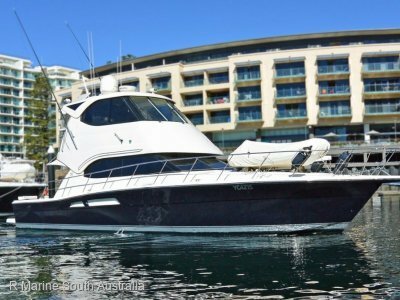 Price Reduced - This well maintained 1999 model Riviera 48 Enclosed Flybridge, is powered by with twin Volvo Penta 610Hp Diesel Shaft Drive engines. A big volume boat with room for the whole family including three cabins, two bathrooms, spacious saloon and enclosed Flybridge. 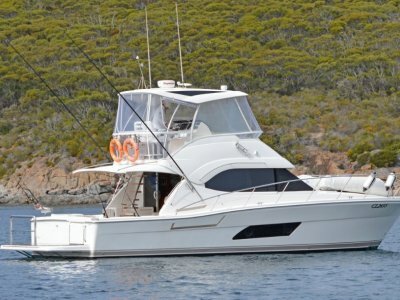 Options include a Tender with outboard & davit, Air-conditioning to cabins saloon and flybridge, Watermaker, Icemaker, Intercom, Teak to cockpit floor life raft and Outriggers. 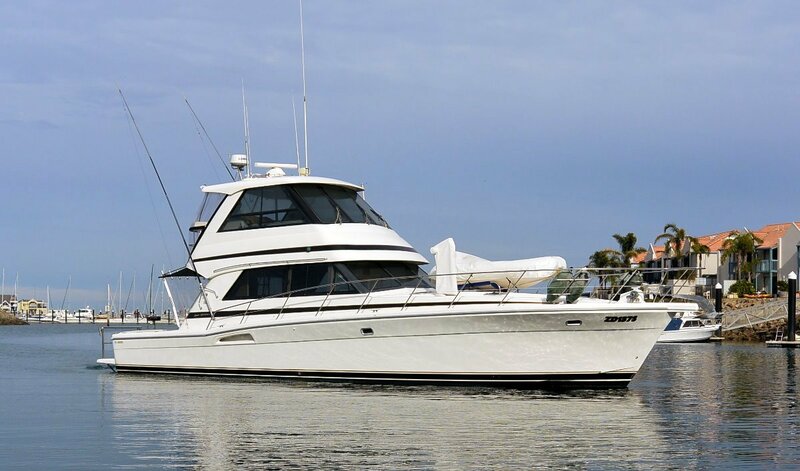 A comprehensive Raymarine Electronics package including C120 screen, Radar, Autopilot. Many recent upgrades. Vendor has requested to bring forward offers for consideration. Call for a specification brochure or to arrange an inspection. 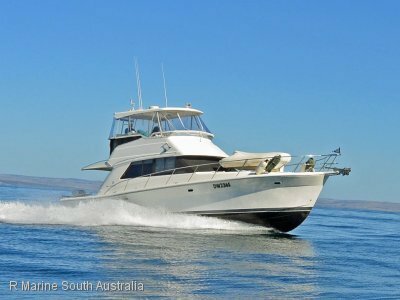 We are the home of Riviera in South Australia, and a Premium 'Luxury' Marine Brokerage. We also have many 'SILENT LISTINGS' so if you do not see the type of boat your are looking for on our website, contact us and let us know what boat you are after. We may have it available but not advertised. 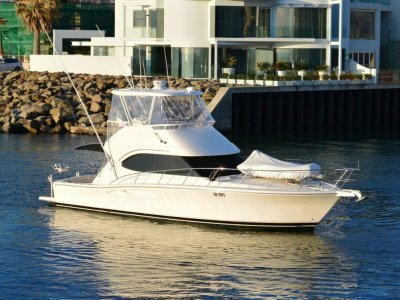 Only our company offers 'In House' service & maintenance professionals to SA Luxury boat owners. We also offer a 'Buyer's Advocate' service. Should you be considering purchasing a luxury boat from interstate or overseas, let us act on your behalf, at no extra cost to you. Purchasing a boat from us is only the beginning. We offer ongoing service & maintenance/cleaning packages to take all the stress out of keeping your boat in top condition. We also offer various levels of tuition to our Riviera owners and a 24 hour Help on call assistance.